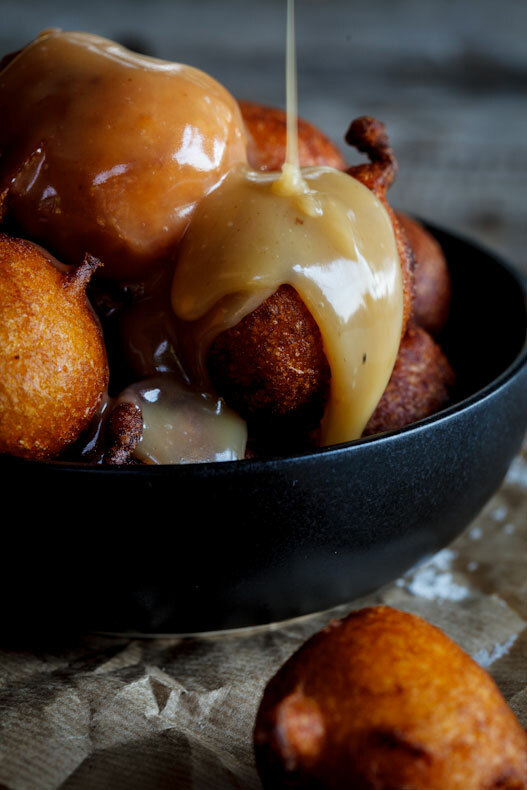 Light and fluffy pumpkin fritters (pampoen koekies) with caramel sauce. This recipe handed down to me by my gran is nostalgia on a plate and will become a family favorite in no time. Whenever my gran brought a tray of these delicious pumpkin fritters out after lunch, I jumped up and down like only a little girl in love with her gran’s cooking can. I was obsessed with the light and fluffy fritters covered in rich caramel sauce. And now, years later, I feel no different. Whilst writing my first book my beloved gran passed away and even though I was heartbroken, the memories I have of her will always put a smile on my face. Like the number of times I begged her to bake cookies with me. We rolled out the dough, cut the cookies and I waited patiently whilst the first batch was in the oven. The moment they were cool enough to touch, I would take the whole tray and go sit in the corner, scoffing them one by one, leaving my gran to roll out, cut and bake the rest. She never got irritated and she never became impatient. I learned that food could heal and that the kitchen was a place that things were forgiven. Her memory will forever live on in our minds and hearts and most definitely also her recipes. She changed the way our family thought about food and she was most definitely the biggest food influence in my life. I learned to cook by her knee. I miss her everyday but I’m sad while doing so, because a life like hers should only be celebrated. 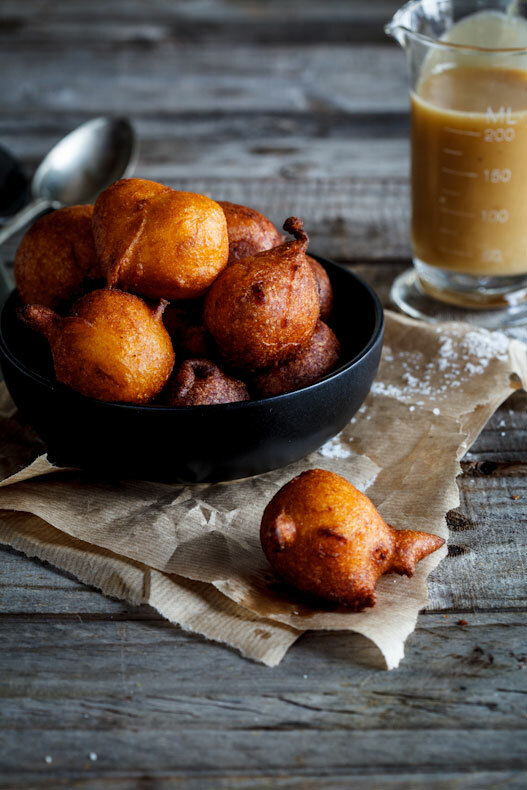 Back to these phenomenal pumpkin fritters (or as we call them in Afrikaans, Pampoen koekies), they really are all they are hyped up to be. 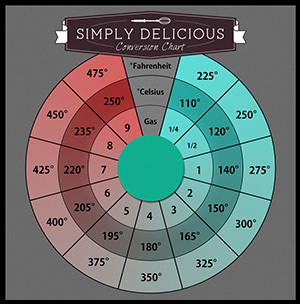 I once cooked a fellow food blogger friend a batch and he proceeded to eat close to 20. In one sitting. They are rich, sticky, buttery and absolutely drool-worthy. My gran used to serve them with this caramel sauce and I remember it being a light coloured but incredibly rich sauce. I normally allow it to cook a bit more to get a deeper colour but then you might need to add a bit more cream. I also added a pinch of salt flakes as the salty caramel works so well with the pumpkin. Everyone I feed these to falls instantly in love with my ouma’s pampoen koekies and I guarantee that you will too! How do you make pumpkin fritters? The batter is incredibly simple and very much the same as a pancake batter. Flour (you can use 1:1 gluten free flour if you wish), sugar and baking powder are mixed with pumpkin puree, egg and milk to form a smooth, thick batter. 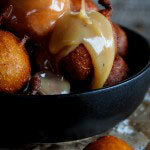 Spoonfuls of the batter are fried until golden and crisp before being drenched in delicious caramel sauce. Can you freeze pumpkin fritters? The fritters will lose their texture when frozen so its not recommended. They are best served fresh and warm but you can make them a few hours ahead and keep them covered, in a low-heated oven for up to 2/3 hours. You can also pour over the caramel sauce ahead of time to allow the fritters to soak up the sauce. You can also refrigerate the fritter batter covered for up to 2 days ahead of time. 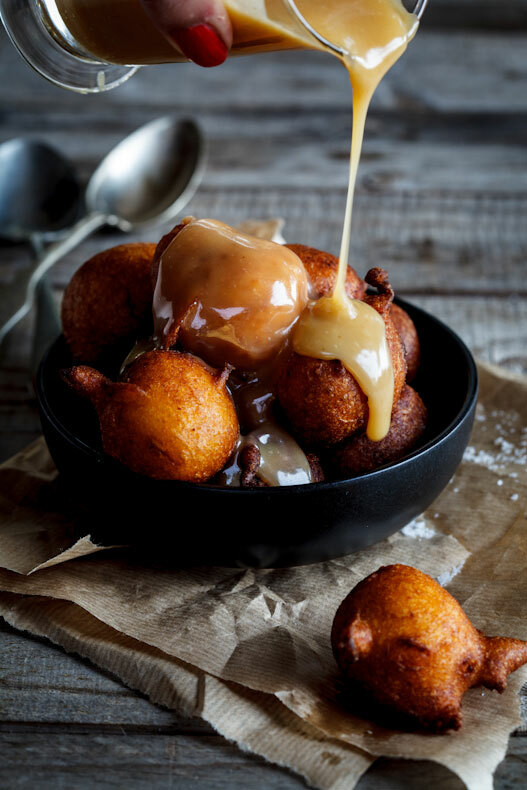 Light and fluffy pumpkin fritters (pampoen koekies) with caramel sauce. This recipe handed down to me by my gran is nostalgia on a plate. Combine all the ingredients and mix until you have a smooth batter. Heat the oil in a medium saucepan and fry spoonfuls of the batter until golden brown and cooked throughout, approximately 2-3 minutes. Continue until all the fritters are cooked. 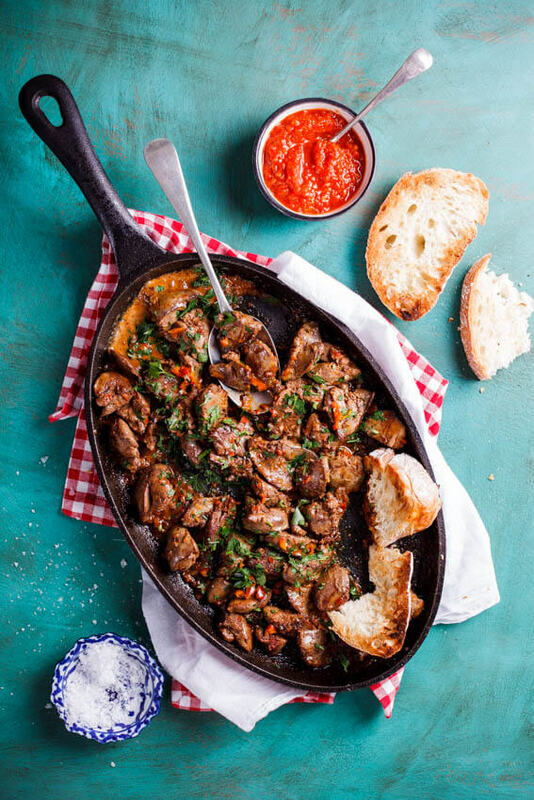 Combine all the ingredients in a medium saucepan and allow to cook over a medium heat for 10-15 minutes until the sauce is thick and glossy. Pour the syrup over the fritters and serve. Best pumpkin fritters ever. 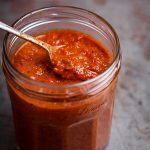 The sauce can be used to pour over ice cream etc. So happy you loved it. That sauce is SO good! Loved reading your story, brought back memories to my childhood. 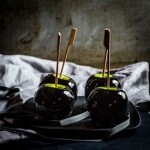 These look soooo delicious Alida! I’d have a hard time resisting just my share! Thanks so much Mary Ann! 🙂 They are such a treat. Alida, I read the recipe of the Pumpkin Fritters. I make Ricotta Fritters, I like anything that’s a fritter. My question is would I be able to make these like one or two days in advance. Your Grandmother’s Fritters sound delicious, you know anything our Grandparents made is always good!!!! Thanks for giving this recipe!! I’ve never made them so far in advance but you could definitely try. Perhaps just re-heat slowly in the oven, covered, to make sure they are thoroughly heated. These look beyond amazing! Pumpkin and caramel together!? Sign me up! Glad you like the look of them! 🙂 They really are too good to be true. 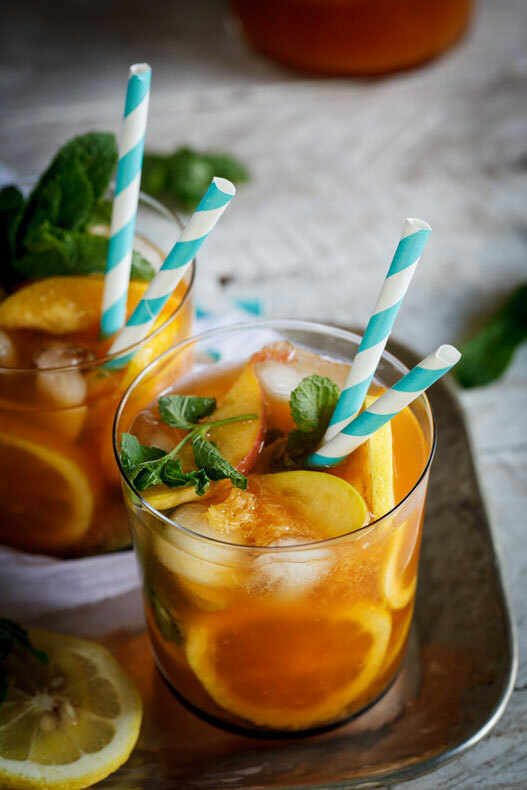 You could use corn syrup or honey. Golden syrup is often sold in little cans, so if you can find it, that would be great as that will give the authentic flavour you’re looking for. What would you substitute for the golden syrup, as I don’t think we have that in the US? can i add chocolate chips? maybe the small ones? Or would that mess them up when frying. I’m sure you could, I’ve never done that before so not sure how they would turn out once fried, but maybe give them a go and see? 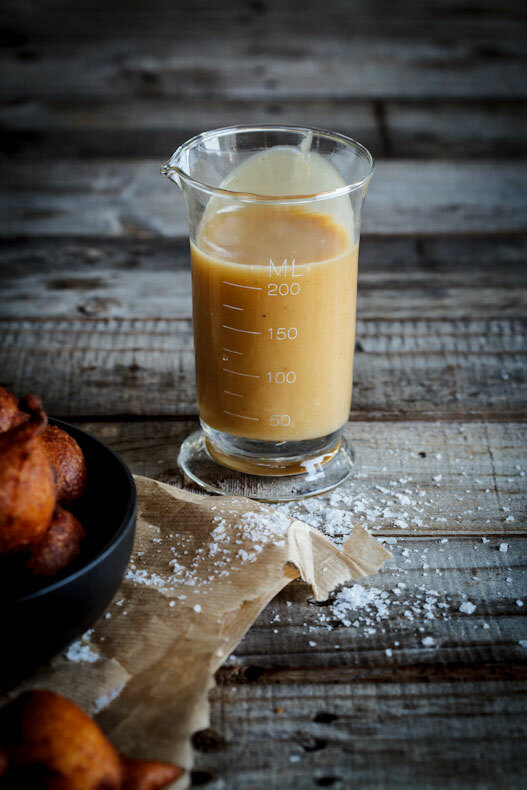 The caramel sauce is amazing, but if you want something not quite as sweet, try these fritters with apple butter or pumpkin butter. Delicious! I have made these several times and they are so delicious and addicting. I’d like to make them for a party, wondering if the batter can be mixed ahead of time and chilled until ready to fry? You know, I’m sure you could. Just watch out for the baking powder as it gets activated the moment the wet ingredients are added. My gran used to make this and keep it warm in huge trays covered with foil before hand. What kind of pumpkin do you use? Butternut squash my boyfriend is from South Africa and we would love to make these. Butternut squash is perfect in this! Allison, I’ve never used pumpkin from a can but I’m sure it should be fine as long as it’s not too wet. Castor sugar is also known as superfine sugar and golden syrup is similar to honey except it’s different in flavour. Hi, don’t be sad for Ouma, be happy with your memories of her as she is not sad. I lost so many kilo’s through “durchfallen” that today i am still as skinny as a rake..
durchfallen: German. through fall: English literal translation. durchfallen is a much more descriptive word. I recently made these for a dinner party with family and they were to-die-for. I served them sprinkled with a mixture of cinnamon and sugar as my three year old cousin is diabetic. Everyone loved them! I doubled the recipe and came out with about 50 and between the 8 of us they were gone within minutes. My little brother and I were eating them as is straight from the pan! The best pumpkin fritter recipe I have ever tried. 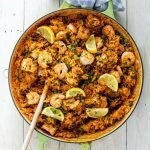 Thank you for posting this recipe! Ah wow, so glad you liked them so much. I have to say, they are definitely in my top 5 things to eat! Love them! Isn’t it lovely to be able to cook from your gran’s cookbooks? Loved the stories about your gran. I have many fine cooking memories about my grandmother as well and often think about her while I cook. Oh, what a lovely recipe! Pleased to have found your blog via El. These were incredible! I made them for a family party and they were talked about for weeks afterward. I have a certain love for pumpkin spice so I added it to both the batter and the sauce and it was gorgeous. Like some other people, I couldn’t find caster sugar or golden syrup in my local stores so I substituted Truvia baking sugar (no calories yay!) and caro syrup respectively. Devine even with the substitutes! Peter, I used butternut for this version but I’ve also used ‘boerpampoen’ which is a round, orange-fleshed pumpkin. I think almost any pumpkin will work for this. You could even try it with sweet potato. I have a useful note for anyone who doesn’t have golden syrup or caster sugar! As I made these, I did some research on caster sugar. I just ground granulated sugar in my coffee grinder, since caster sugar is basically a finer-grained sugar. Don’t grind it TOO much, or you’ll get powdered sugar! And for the syrup, instead of 1/2 cup golden syrup, I used 1/4 cup honey and 1/4 cup pancake syrup (log cabin syrup). 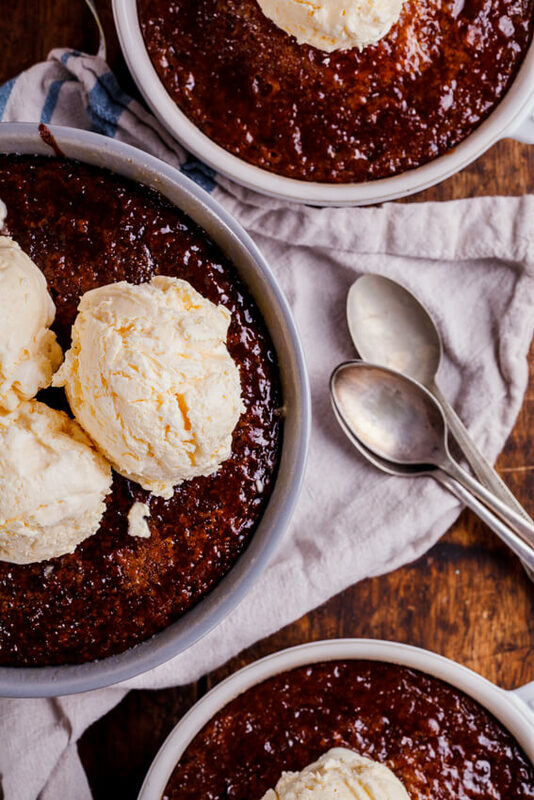 It may not have tasted as yummy and caramely as this recipe, but was still gooey and tasty! Hope this helps anyone! And the pumpkin fritters were BEYOND delicious! Thank you for this wonderful recipe! Thanks for this great tip Mar! Do you think I could use applesauce instead of the pumpkin? Shanna, I think apple sauce might be too runny so you’ll have to use lots of flour and that might result in a tough fritter. Perhaps after draining the applesauce in a coffee-filter lined strainer? 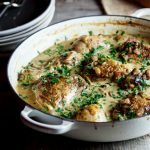 This recipe looks incredible and what a legacy for your gran to leave. Wow, show stopper. Pinned and Pinned! what is pumpkin cooked? is it a puree? I want to make these but what is golden syrup? I’ve never heard of it. Susan, golden syrup is a syrup similar to maple syrup but with the consistency of runny honey. I’m sure you’ll be able to find it or something similar at a grocery store. I’d love to try these but I have a couple of quick questions. 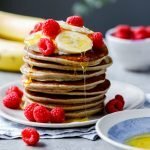 What is golden syrup? And can I use regular sugar instead of caster sugar? Thanks! Candy, golden syrup is a British product, similar to maple syrup but with the consistency of runny honey. I’m sure you’d be able to find it in a grocery store. It often comes in little tins. Golden Syrup is not widely available in the United States. It is an invert sugar (which kind of gives it it’s gooey-ness) and the only widely available invert sugar syrup is corn syrup (a cheap knock-off of golden syrup) It works well in this recipe, and although maple syrup or honey gives the sauce a different consistency they work ok too with 1/4 c honey and 1/4 c maple syrup. Golden syrup is found in stores like Wholefoods, Kings, maybe Trader Joe’s not sure. I grew up using it on pancakes and serving with a slice of lemon. It is in a green can. We never used maple syrup since I grew up under the British system. Thanks for your comment Peggy! Sweet potato sounds like a great idea!